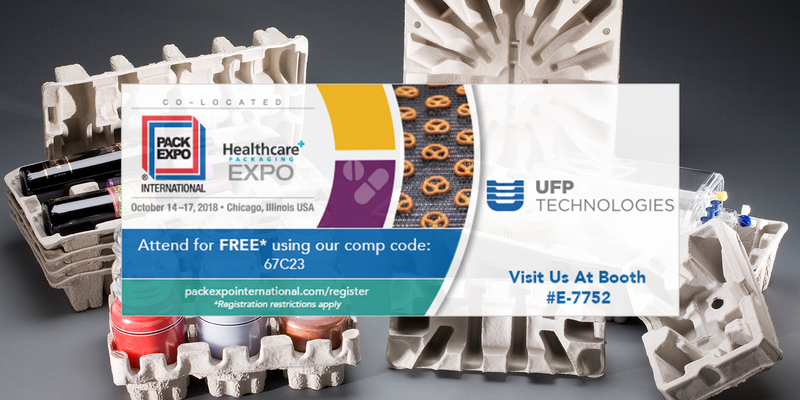 October 8, 2018 – Newburyport, Massachusetts – UFP Technologies, a producer of innovative, custom-engineered molded fiber packaging solutions, will be exhibiting at Pack Expo International in Chicago, IL from October 14-17 at Booth E-7752. Our cost effective and environmentally friendly solutions reduce labor and save space versus other materials while providing superior protection during shipping and storage. For more information about our molded fiber solutions visit moldedfiber.com. Click here to register. Use code 67C23 to receive free expo admission!